Welcome to the new Pharmalicensing. We have recently enhanced our global platform. Start exploring. We foster exciting, new partnerships by bringing together technology scouts, business development professionals, and innovators from around the world. Save time by easily creating custom searches and technology feeds that will deliver fresh opportunities to your inbox each week. 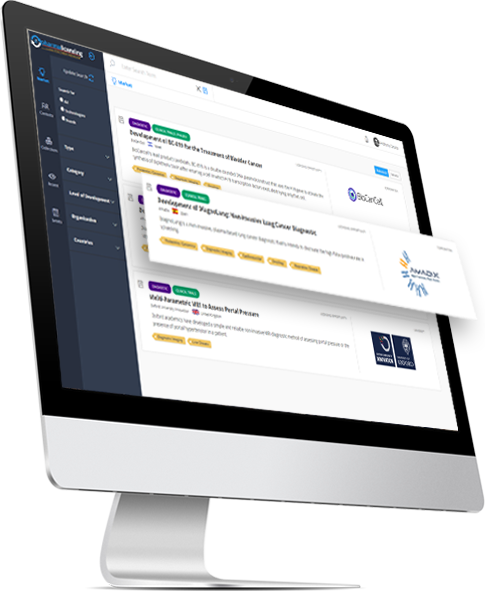 Post your in-licensing needs across our entire platform and through our proprietary Technology Feed and Notification system that reaches tens of thousands of organizations and professionals in 110 countries. Our integrated productivity tools are designed to help you quickly manage, organize, and accelerate your technology acquisition and licensing initiatives. Save technologies to one or more collections to keep your scouting organized. Connect and engage with the right people using our private and secure Conversation Center. Manage your company profile to create interest. Let viewers know the type of business relationship you are pursuing. Adding your technologies is easy. 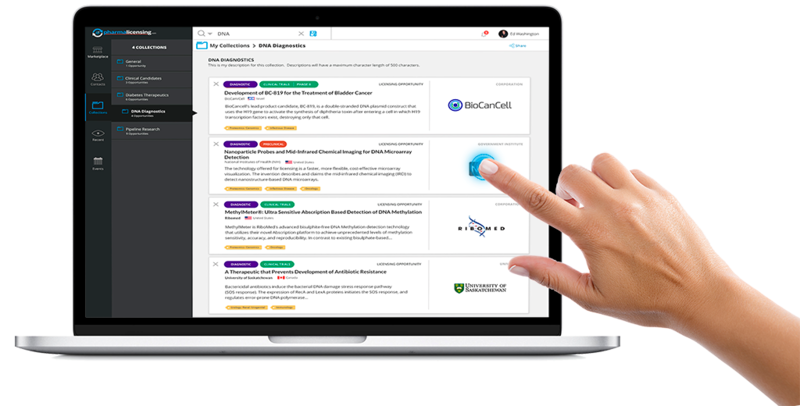 Manage your technologies while leveraging Pharmalicensing's long-standing, top-ranked SEO to get the highest visibility within your disciplines. At the end of the day, what you really need are leads. Connect with business development and life science professionals from all over the world. Reach out to the person that is directly responsible for each opportunity. We eliminate barriers and layers in the connection process. We help drive innovation forward by connecting ideas to markets and markets to people. And with the breadth and diversity of offerings we showcase, identifying opportunities has never been faster. Organizing potential in-licensing candidates will give you back your time. Copyright 2018 Pharmalicensing - All rights reserved. Use this form to provide feedback or inquire about the Pharmalicensing platform. Someone from our team will respond to you promptly.